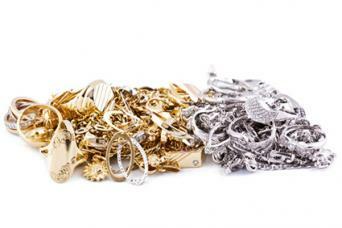 From affordable brass to precious platinum, you'll find jewelry in every metal you can imagine. Each of these materials has advantages and disadvantages, and it helps to understand a bit about the metals in jewelry before you make your next purchase. Whether you're investing in fine jewelry or purchasing some costume pieces to keep up with this year's trends, you'll encounter one or more of these metals. Knowing what you're buying is important, especially if you have metal allergies or other unique needs. According to the US Geological Survey (USGS), aluminum is very malleable, so artisans can form it into gorgeous shapes. 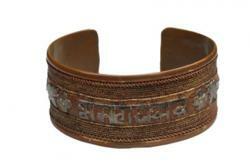 It is often used for cuff bracelets, elaborate bib necklaces, delicate earrings, and more. 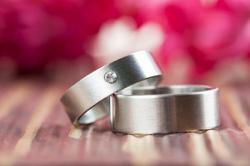 It's important to note that because it is so malleable, aluminum jewelry can be fragile and prone to warping. Additionally, a very small number of people may be allergic to this metal. 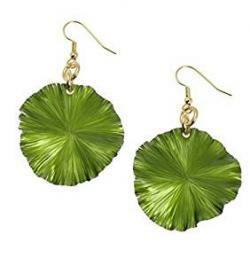 Brass is a common choice for costume jewelry, since it has an attractive gold color and offers an affordable alternative to precious metals. Made from a combination of copper and zinc, the properties of brass can vary depending on the amount of these two metals used in its production. According to the Copper Development Association, the proportion of copper and zinc can also affect how jewelers can use the metal in their products. In general, brass won't corrode with regular use. However, depending on the copper content, it may turn green over a long period of time. Unlacquered brass may require polishing from time to time, but many jewelry manufacturers apply a clear lacquer to avoid this problem. 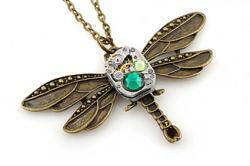 There are a few important safety considerations when it comes to brass jewelry. 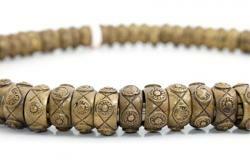 Although today's brass jewelry is mostly lead-free, some vintage brass pieces may contain small amounts of lead. Lead can be toxic to children and adults. Additionally, brass may also contain nickel and aluminum, so people with metal allergies may want to avoid it. 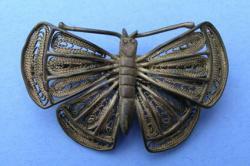 Bronze is great for detail work, so you'll find gorgeous and delicate jewelry in this material. According to the Royal Society of Chemists, copper is extremely easy to work with. It was actually the first metal worked by jewelers in ancient civilizations. It's important to note that most jewelry isn't created from solid gold, which is too soft. 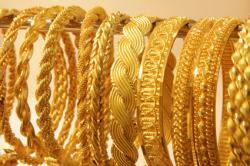 Gold comes in different karats or purities, each of which has advantages for the consumer. Additionally, because gold is such a costly metal, many pieces are gold-filled or gold-plated. This means that a layer of gold is applied over a less expensive base metal. Items that are gold-filled have a much thicker layer of gold than pieces that are gold-plated. This metal is hypoallergenic. 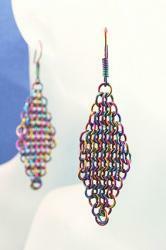 In general, niobium jewelry won't bother people with metal allergies. It isn't a precious metal, so it's more affordable than gold, silver, and other choices. Niobium is strong. It's a component of alloys used in jet engines, oil rigs, and other industrial applications. 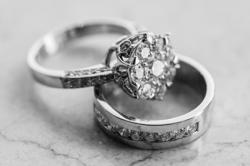 If you're considering pewter jewelry, there are a few potential disadvantages to keep in mind. For example, pewter can be prone to denting and damage, since it is so soft. Additionally, vintage pewter jewelry often contains lead, which is toxic. Modern and vintage pewter may bother people with metal allergies. 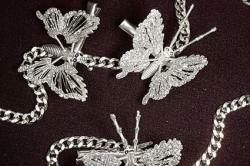 Silver is another beautiful white metal used in jewelry. According to the Australian Mines Atlas, silver is extremely malleable. Because it is so soft, you'll almost never encounter pure silver jewelry. Instead, you'll see sterling silver, which is 92.5% silver and 7.5% other metals. Stainless steel resists corrosion. This means that it's a great choice if you'll be exposing your jewelry to chemicals and daily wear. 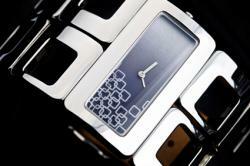 You'll find many items in stainless steel, including rings, earrings, watches, bracelets, and more. Those with metal allergies may find stainless steel problematic. Since nickel is often included in the alloy, it's best to avoid stainless steel if you are sensitive to metals. Titanium is durable and strong, so it's a good choice for items you plan to wear often. It doesn't bend easily, and it resists scratching and abrasion. Jewelry pieces crafted from titanium resist tarnishing, so you won't have to perform a lot of upkeep on these items. Titanium's biggest disadvantage is that it is difficult to work. 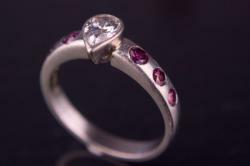 This means that it isn't easy to resize titanium rings or other size-specific pieces, and it also means that many artisan jewelers hesitate to dabble in this material. Each material has pros and cons for the jewelry consumer. Experiment by adding many different metals to your collection. With time and experience, you'll soon find out which metals are your favorites.